iOS 7’s new multitasking screen has the UI problem of redundancy. A status bar is atop every app preview. The status bars aren’t static images, either. Each of those is a live status bar which updates itself accordingly. Which also means that all the status bars update the same time. Thank fully, the status bar at the very top of the screen fades out in fast app switching. Or else we would have to deal with four redundancies instead of three. Apple went into overdrive with the anti-skeumorphism with IOS 7. Appearances and animations in iOS 7 aim to be minimal and natural. What is the purpose of showing the user three status bars at once? There really isn’t a good reason. The user is accustomed to reading information from one status bar, more status bars on the same line do not increase the status bar information reading rate. 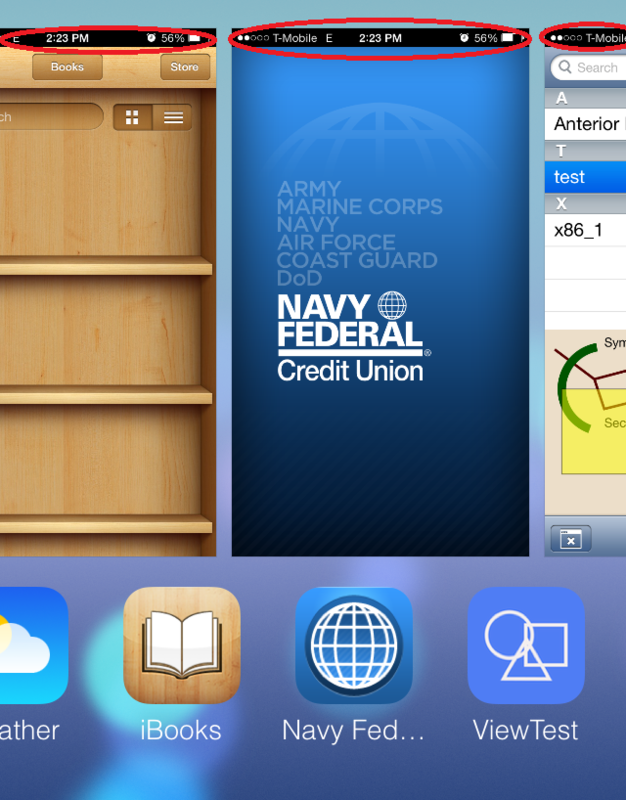 What should iOS 7 multitasking look like? Apple got it right in OS X with Mission Control. In Mission Control, the menu bar, the best equivalent to the status bar in OS X, is hidden when the user zooms out to see all programs. iOS 7 multitasking should have one status bar at either the top of the screen. Or the status bar can be in the “center” app’s preview and the other app previews’ status bars can be dimmed or faded out. Better yet, the status bar could be done away with as users are not likely stay in multitasking mode long enough to read a status bar.